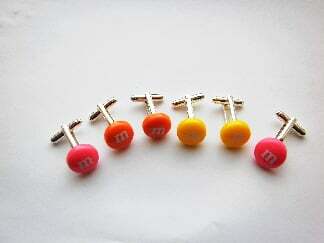 Funky new fun fake candy sweet cufflinks in a choice of fashionable colours. 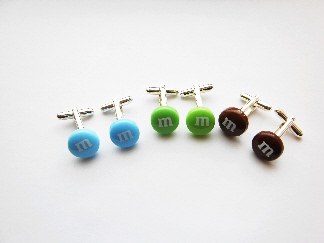 Choose from 10mm or 14mm sweet size. Attached to a pair of silver plated cufflinks.